When Apple enters into a new market, it attracts a storm of attention, both for itself and the category as a whole. Things were no different following the announcement of the Apple Watch. In the second quarter of 2015, the wearables market exploded with 223.2% growth and Apple is now number two in the category after Fitbit. With all the noise and excitement, one persistent question remains: “what does it do and why would I buy one?” So far, the best case in favor of smartwatches is that they help you keep your phone in your pocket. When the device is on your wrist, you can stay in the moment, thus avoiding those rude pauses in conversation when you pull out your phone to check your latest call, text or tweet. But how far can you actually push this idea? How many tasks can you perform on a smartwatch only? 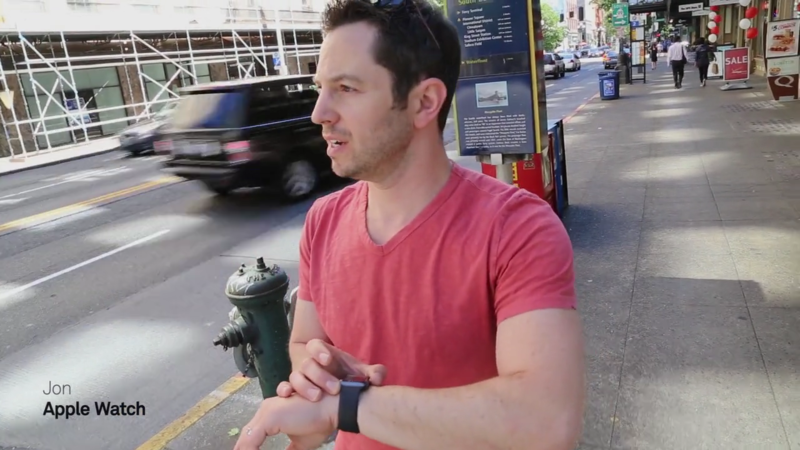 At what point does the watch fail, finally forcing you to dig out your phone? Which smartwatch offers the best overall experience? With so many choices, there is no shortage of reviews and technical comparisons out there, but all they do is compare the specs. Artefact set out to compare the experiences in a head-to-head Smartwatch Shoot Out. There were four contestants: Tom, wearing the Moto 360, Jon, strapping up with the Apple Watch, Neeti, the control contestant, was working with a regular smartphone and just to keep it interesting, I was using an analog watch. We were given a set of tasks to complete, which were sent from Artefact HQ via text, voice and email. I had all of my instructions in the form of a printed list and I recorded my tasks using only pen and paper. We scored 10 points for successfully completing each task. While each contestant could use their smartphone to complete a task, 5 points were deducted from their score each time they did. The person who completed all of the tasks in the shortest amount of time was also awarded 10 bonus points. This article was first published on Artefact’s blog.